Cigar Mile Day, the centerpiece of the Aqueduct Racetrack fall meet, will get even more thrilling with a two-day $72,960 Pick 6 carryover awaiting bettors on Saturday. Friday's Pick 6 sequence went unsolved as Introspection (No. 7, $21.40) won the opening leg at odds of 9-1 in Race 4, followed by 4-5 favorite Singapore Trader in Race 5, in which Hall of Fame rider John Velazquez notched his 6,000th career win aboard the Todd Pletcher-trainee. In Race 6, Kadens Courage (No. 10, $12.20) won by an impressive 11 ¼ lengths. Godolphin Racing won the next two races, with trainer Kiaran McLaughlin in Race 7 with even-money favorite Face It (No. 4, $4.10) and long-shot Final Frontier (No. 5, $18.20) for trainer Tom Albertrani. In the day's finale, Formal Start (No. 3, $11) won for trainer Steven Jerkens and owners Seacoast Thoroughbreds of N.E. A consolation payout of $693 was awarded to bettors who had five of six winners. Including three of four stakes on the card, Saturday's Pick 6 will begin in Race 5 with a New York-bred allowance for 3-year-olds and up going six furlongs on the outer turf with a scheduled post time of 1:34 p.m.
Highlighted by the Grade 1, $750,000 Cigar Mile Handicap presented by NYRA Bets, New York's final Grade 1 race of the year, the 10-race program with a first post of 11:30 a.m. also features the Grade 2, $250,000 Demoiselle carded as Race 4, the Grade 3, $250,000 Go For Wand as Race 6, and the Grade 2, $250,000 Remsen in Race 8. Fans can catch all the action from Aqueduct on a special edition of Aqueduct Live, presented by Claiborne Farm, airing on MSG+ from 3-4:30 p.m. ET. on MSG+. 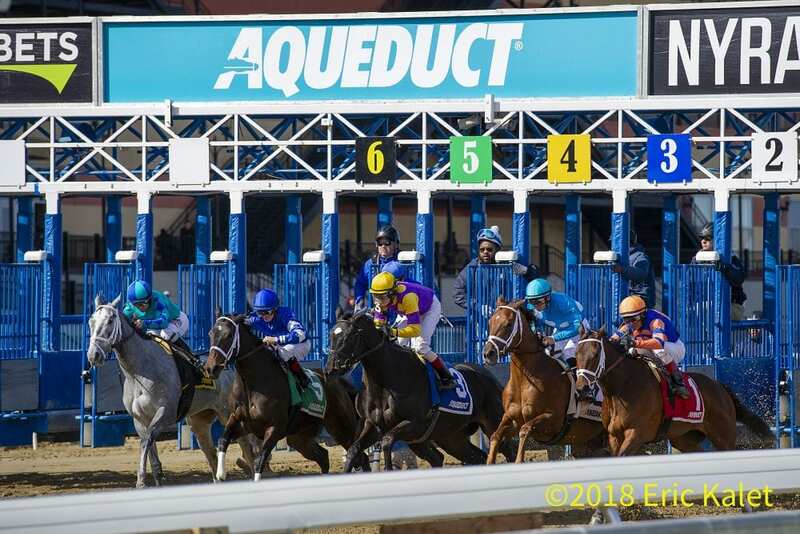 This entry was posted in Horseplayers, NL List and tagged aqueduct, Aqueduct Racetrack, carryover, cigar mile, Handicapping, horseplayers, pick 6, pick 6 carryover, todd pletcher, Wagering by NYRA Press Office. Bookmark the permalink.